ivoltaa selfie stick unboxing/specification/features roundup!!! tvs scooty pep+ 2017 actual showroom look/real life review!!!! honda cb shine sp 125 BSIV actual showroom look/real life review!!!!! suzuki access special edition actual showroom look/real life review!!!! nissan micra active actual showroom look with interiors/exteriors/real life review!!!! yamaha fazer fi 150cc actual showroom look /real life review!!!! hyundai tucson 2017 actual showroom look with exteriors/interiors/real life review!! smartron srt phone T5524 review/specificatons roundup!!!!! honda dio 2017 edition actual showroom look/real life review!!!! datsun redi go 1.0 gold edition actual showroom look with interiors/exteriors!!!! Photron SLF400 3rd Gen Wired Selfie Stick unboxing/review!!! isuzu mu-x actual look with interiors/exteriors/real life review!!! top 5 gaming apps on android !!! !my picks!!!! maruti suzuki ciaz alpha actual showroom look with interiors /exteriors/real life review!!!!! ford aspire actual showroom look with interiors/exteriors/real life review!!!! skoda rapid monte carlo edition actual showroom look with interiors/exteriors/real life review!!!! mahindra gusto actual showroom look/real life review!!!!! um renegade commando 300 2017 edition actual showroom look/real life review!!! honda activa 4g 110cc actual showroom look/real life review!!! hero maestro edge zx actual showroom look/detail review!!! mahindra kuv 100 nxt with touch infotainment system exclusive review with interiors/exteriors!!! lg GC-X247CSAV refrigerator with knock knock technology review!!!!! reliance JioFi 2 M2S 150Mbps Wireless 4G Portable Data + Voice Device unboxing/ in depth review!!! mahindra xuv500 2017 edition actual showroom look with interiors/exteriors/real life review!!! 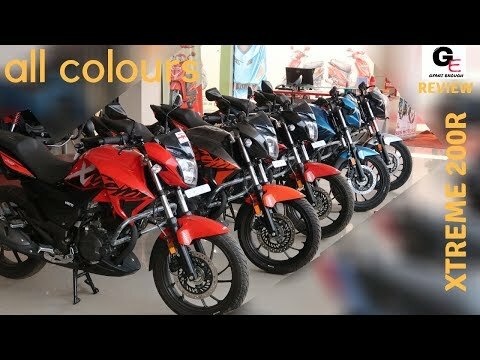 hero xtreme sports 2017 edition actual showroom look/real life review!!!! fiat new linea 2017 edition actual showroom look with interiors/exteriors/real life review!!! toyota innova crysta actual showroom look with interiors/exteriors/real life review!!!! samsung galaxy s8 plus review/specifications/features roundup!!!! samsung galaxy note 8 s pen review/features/usage roundup!!!! ktm duke 200 2017 actual showroom look/walkaround video!!!!! samsung galaxy note 8 review/specifications roundup!!!! hero duet actual showroom look/real life review!!! hyundai xcent 2017 edition actual showroom look with exteriors/interiors/real life review!! hyundai elite i20 actual showroom look with exteriors/interiors/real life review! isuzu v cross actual look/modified look with exteriors/interiors/real life review!!!! audi A4 2017 actual showroom look with exteriors/interiors/real life review!!!!! audi Q3 2017 actual showroom look with exteriors/interiors/real life review!!!! ford ecosport walkaround video with exteriors/interiors/real life review!!!! bmw 520d 2017 edition actual showroom look with exteriors/interiors/real life review!!! volkswagen vento 2017 actual showroom look with exteriors/interiors/real life review!!! hyundai i20 activ 2017 actual showroom look with exteriors/interiors/real life review!!! ford ecosport facelift 2017 edition review with exteriors/interiors!!!!! maruti suzuki new swift with graphics/accessories actual showroom look with interiors/exteriors! volkswagen polo walkaround video with exteriors/interiors/real life review!!! apple iphone 8 inbox contents/unboxing/specifications roundup!!!!!! royal enfield classic 500c desert storm actual showroom look/real life review!! nissan micra fashion edition actual showroom look/real life review with cvt gearbox!! apple iphone 8 plus inbox contents/unboxing/specifications roundup!!!! ktm rc 200 actual showroom look/walkaround video!!!! mahindra tuv 300 T10 with touchscreen infotainment system/actual showroom look!!!! toyota corolla altis 2017 edition actual showroom look with interiors/exteriors!!!! bajaj v 125cc variant actual showroom look/walkaround video!!!! um renegade commando classic edition black color actual showroom look/real life review!!!! samsung galaxy s8 unboxing/specifications roundup!!!! bajaj avenger cruise 220cc walkaround video/actual showroom look!! vivo v7+ unboxing/specifications roundup/detailed review!!!!! विवो v7 प्लस! !